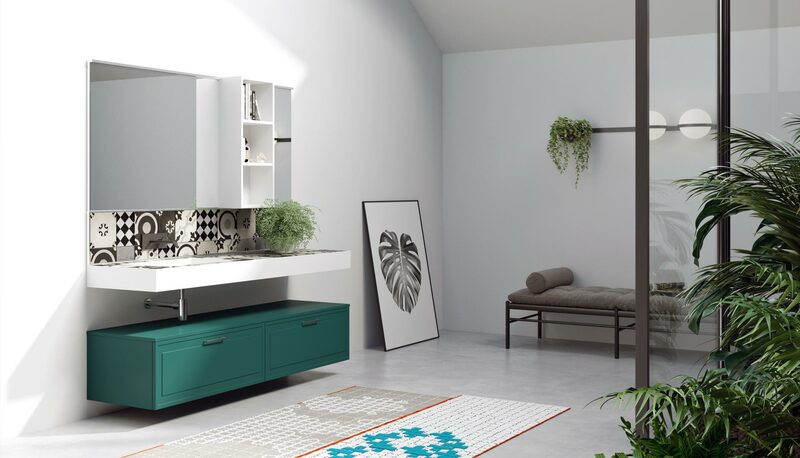 The skilful combination of innovative materials and decorative tradition gives life to a composition with a refined and contemporary aesthetic. 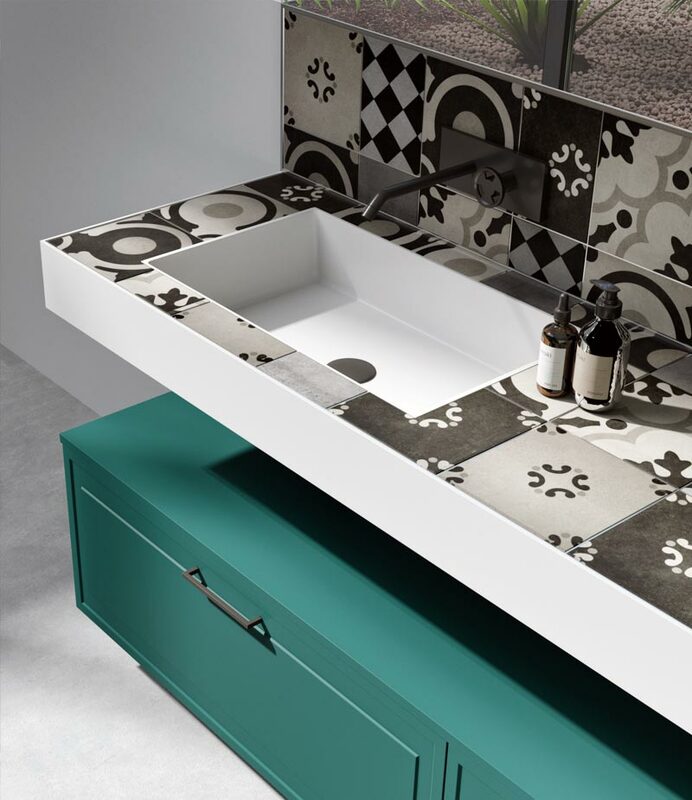 Practicality and decoration in the new tiled top on Betacryl® base, also available with upholstery supplied by the customer. 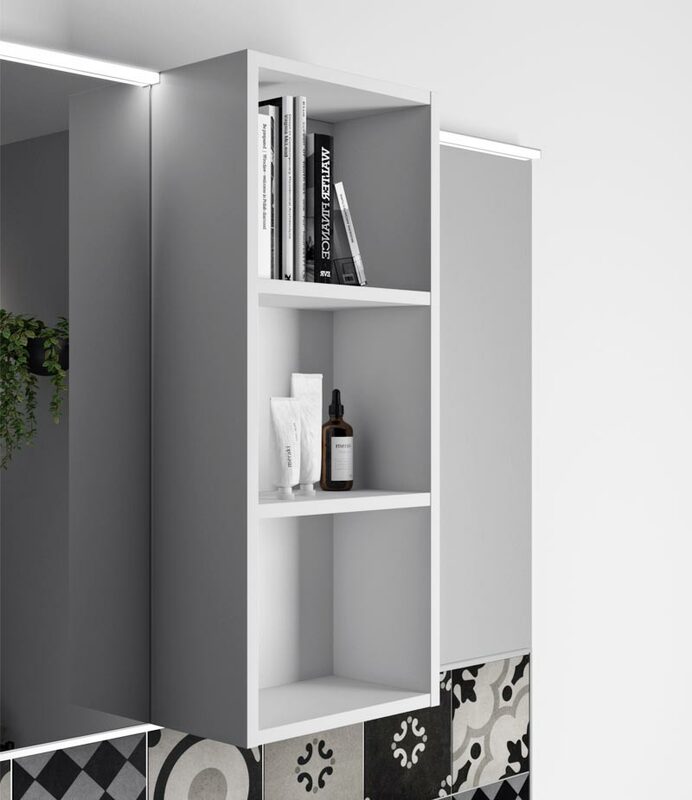 The open wall unit next to the mirror, which is illuminated by the new tailor-made LED Stick lamp, is convenient.